Over the past several decades, water quality monitoring technology has rapidly evolved to meet the needs of regulatory agencies, universities, environmental consultants, and municipalities. 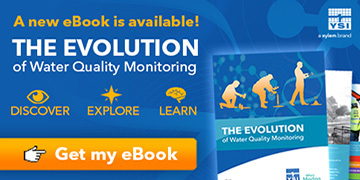 Our recently released ebook documents the ever changing story of water quality monitoring and how we fit into the world of environmental stewardship. Discover how YSI technology has evolved over time to meet monitoring needs. Explore new sensor technology and how it’s used to better understand our world’s most precious resource. Learn how YSI combines diverse sensing technologies into a single system, delivering your critical data when you need it. Jose I hope you were able to access the Ebook. In regards to your YSI instruments you can always work with our knowledgeable Tech Support team at info@ysi.com.